Ready to take your career to the next level? 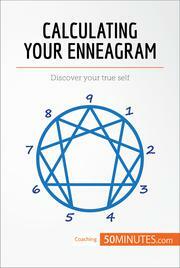 Find out everything you need to know about discovering your Enneagram type with this practical guide. Finding the career path and lifestyle that are right for you is never an easy task, and charting the right course only gets more difficult when you do not have a firm sense of identity to guide you. Discovering your Enneagram type will help you to better understand your own personality, particularly the motivational forces that drive you, which is often the key to figuring out exactly what changes you need to make in order to lead a more fulfilling, balanced life.